You can’t really record music nowadays without an audio interface. It’s where you plug in your instruments and microphones — it’s the conduit between the musician’s performance and the computer and its digital audio workstation. Look at any professional recording studio and you’ll see multiple interfaces. Interfaces make recording life possible. Rack mounted design which is easy to work with. Great audio resolution made possible due to fast connectivity. Comes with an array of inputs and outputs. Takes some time to figure out. Antelope Audio is best known for their more simple audio interfaces. This brand has become popular mainly because they offered a cheap way to get into home studio recording. However, that isn’t the only thing they offer. On the contrary, models such as the Antelope Audio Zen Studio are a truly professional piece of gear that meets all of the standards. As you can tell, it is a rack mounted interface that packs a large number of inputs and outputs. The resolution you are offered is high quality, which is made possible thanks to both fast interfaces and good connectivity. The amount of hardware and features you get with this bad boy is pretty impressive. Overall, it is a great choice. Great package full of awesome features. Comes with a high quality mic preamps. Impressive sound resolution for the money. Design that is easy to work with and control. Requires some getting used to. One of the names that is consistently popping up on any list of best audio interfaces is going to be Universal Audio. Their lineup is full of both professional and enthusiast grade equipment which has been proven to work. 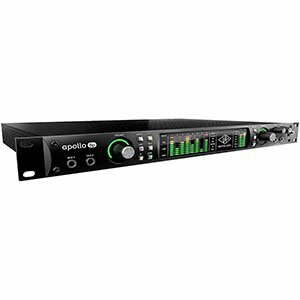 Universal’s Apollo 8p is a higher-end unit capable of delivering plenty of potential to those who need it. It’s that good. What makes this particular model so awesome is the fact that it packs a number of dedicated channels with awesome preamps, on top of an array of other inputs. The overall sound quality is truly amazing and worthy of professionals as well as enthusiasts with a decent budget. If you’re the buy once, cry once type of person, get this. A simple and straightforward design that works. Great features all over the place make it very functional. Comes packed with great software package. Overall sound quality that exceeds all expectations. Doesn't offer much in terms of aesthetics. RME is not as popular of a name as some others on this list. This company is pretty much behind the curve when it comes to affordable interfaces. However, when it comes to higher end stuff, they are up there with the best. RME Fireface UC is a perfect example of what they are capable of offering and it rocks. One of the biggest benefits of going with a Fireface UC is a very diverse I/O cluster. You will find all kinds of XLR and TRS inputs and other options, which make this interface a true force multiplier in a studio. On top of that, you also get good software support which definitely helps with compatibility. Overall it’s great. Functional design that is easy to use. Thunderbolt connectivity ensures zero latency performance. An abundance of inputs and outputs. Based on what is already a successful model. Compatibility issues have been reported with Win 10. MOTU audio interfaces are known for their functionality and straight forward approach. Same goes for their higher end models as well. MOTU 828es is a pretty great setup that incorporates functional design with a more professional set of features. It’s a rack mount unit that is definitely something you would want to have at your side in a professional studio. What makes it so interesting is the fact that it uses Thunderbolt to communicate with your computer. That means zero latency which translates to real time mixing. 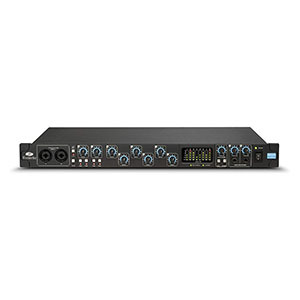 On top of that, this particular model brings an impressive I/O cluster that allows you to record a multitude of different instruments at the same time. It is great at this price. Easily some of the best preamps in this segment. Features 18 inputs as well as 20 outputs. Awesome sound resolution overall paired with low latency. Standard rack mounted design makes it super functional. Simplified controls are a pro as well as a con. If there is one brand that really put audio interfaces into mainstream it is Focusrite. They have done this thanks to a large number of affordable models. However, entry level gear isn’t the only thing this brand offers. On the contrary, models such as Fosucrite Claret 8Pre really show just how good this company is, especially in the higher end. 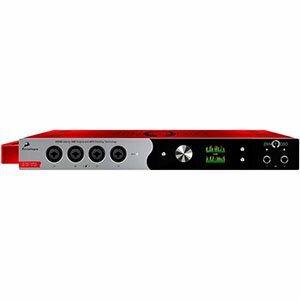 What makes Focusrite Clarett 8Pre so attractive is the fact that it comes with 8 mic preamps. That isn’t at all common for semi pro interfaces. If you are looking to record mainly vocals or record acoustic instruments using mics, an interface such as this one makes perfect sense. On top of that, there are also 20 different outputs available. One of the best bang for the buck models. Good build quality with a simple design. Audio quality ensured by lightning fast connectivity. Packs 20 inputs and 20 outputs which makes it competitive. By doing that, Focusrite has covered both PC and Mac users with a very fast interface. Pro 40 allows you to move heavy projects with zero latency, mix and adjust instruments in real time and more. Paired with the overall selection of awesome features, competitive price and easy to use design, Focusrite Pro 40 is one of the better choices. Simple and efficient setup that works. Dedicated mic channels paired with awesome preamps. Low latency operation with great audio quality. I/O is completely pushed to the back panel. 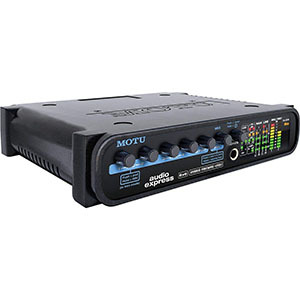 MOTU Audio Express is a simple, compact unit designed to deliver the necessary performance without too much hype. It’s a straightforward interface and that is what we like the most about it. However, one thing that really sets it apart in this very contested segment is its compatibility with Mac devices. It delivers a borderline flawless performance with this platform. In terms of hardware, you are looking at a pretty standard setup. MOTU has done a great job with those mic preamps, making them some of the absolute best in this segment of the market. The I/O package is decent to say the least and offers some pretty functional options. Overall, it’s a great choice for just about anyone. Easily the best looking USB interface. 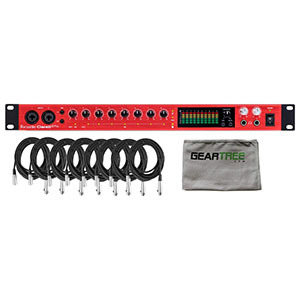 Comes with a great set of awesome mic preamps. Features great hardware but also software. Easy to work with even for beginners. Not the cheapest thing out there. In the world of USB interfaces, it is really easy to get lost in technicalities. However, if you keep your focus on the core hardware, there are few interfaces which stand out. 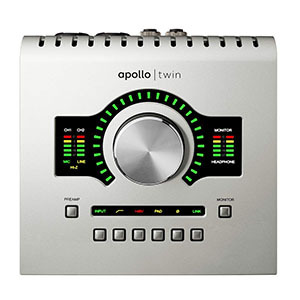 Universal Audio Apollo Twin is one such interface. It not only looks good but it really gets you a good balance of price and performance all things considered. 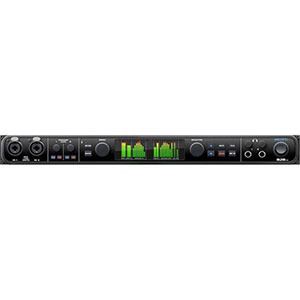 It offers 2 inputs and 6 outputs which is a decent setup at this price. Preamps are some of the best we’ve heard in this segment, and the fact that the interface is running on USB 3.0 means that latency is very low. No matter how heavy your projects are, this interface will keep up. That much is guaranteed. When it comes to audio interfaces, Thunderbolt connectivity is the fastest way on the market to transmits signals, which lessens the possibility of latency issues. These interfaces are typically a bit pricier than the others, but you get what you pay for. When USB audio interfaces came along, it drastically improved things for people who record at home or on a tight budget. USB interfaces are very affordable, so you can grab a high-quality USB interface for cheap but still get professional-quality audio. Firewire may sound intimidating just because it’s not as common as the others. But not to worry, it will become your friend if you let it. These interfaces offer super fast bandwidth, meaning it sends data at a quicker rate, delivering better performance, consistency, and stability in your audio. These audio interfaces are for novices or beginners. 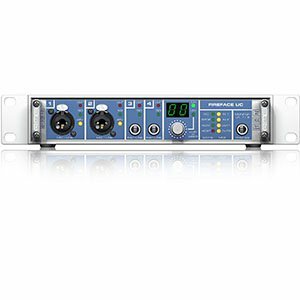 The professional interfaces in this category have been hand-picked for people who don’t mess around when it comes to the quality and features of their recording equipment. If you know your stuff, you’ll want to check out these devices. Audio interfaces allow you to record external sounds, like your voice or guitar, into your computer and then output those sounds so you can hear the music. And the quality of an interface can greatly affect — negatively or positively — the quality of the recorded audio. So how do you know if an interface is good or not? DAW — Is the digital audio workstation that is compatible with the interface any good? Does it have many bugs? Interface Connectors — Each type of connection (Thunderbolt, USB, Firewire) have different pros and cons. Thunderbolt is the fastest transmitter of data, then Firewire, then USB. [Text Wrapping Break]Inputs and outputs — Take note of how many inputs and outputs are available and what types are offered (this depends on what you’re recording). It’s a good idea to have a couple of each type. Basically, a good interface is one that’s fast, reliable, delivers pro-level audio quality, and works with the equipment and software you own. The audio interface market is flooded with different option, features, prices, shapes and sizes. It can be overwhelming to try to pick the one you need. Should you print out a list of all of the devices, randomly put your finger on one, and then buy it? No, don’t do that. Let us help. For the longer answer, let’s start with what you actually need in your studio and what you’ll be recording. This is the most important thing when it comes to choosing an interface. If you’re using mostly pre-recorded samples, loops, virtual instruments, and synths, then you can go with the most basic interface with quarter-inch inputs. This is actually more than what you need, but it’s standard nowadays for most interfaces to include those. And these devices are typically on the more affordable end. If you’re recording with analog instruments (acoustic guitar, vocals, bass, etc. ), then you’ll definitely need an interface with more than one mic input as well as preamps. Most interfaces have inputs that accept both XLR and quarter-inch, so that option is probably better. You’ll end up paying a few hundred dollars for a good device like this, but it’ll be worth it. Lastly, if you’re recording with other musicians, you’ll need an interface with more options. Specifically, you’ll need an interface with at least two headphone jacks so you can both hear the recording and playback. You may also want to consider having more than just two inputs, like one with four or eight inputs, especially if you’ll be working with a drummer on a full drum kit. Ultimately, it comes down to your specific needs, wants, and budget. I know some people are anti reading directions, thinking they’re smart enough to figure everything out on their own. I’m not doubting those people’s intelligence, it’s just that every interface is different and has its own specific features, setup protocol, and compatibility. The point is, is always a smart idea to read the manual that comes with the interface, regardless of your expertise. This way, you can learn all of the things the interface can provide that you may not have picked up on right away on your own. Depending on what you want to record, you’ll need to be familiar with your interface’s limitation and where it shines. When you use it in the right setting, your audio interface can make a world of a difference. It doesn’t matter what your level of experience is — you could be a veteran engineer or a DIY artist who’s just starting out — you need an audio interface (or multiple). They’re a necessary tool in today’s recording industry and needed if you want to keep up with the standards. Now that you’ve read this article, you’ll be able to choose the best interface possible for what you’re recording, how you’re recording it, and what price range you want to stay within. Additionally, you can check out the buying guide for audio interfaces for even more help on choosing the right device for you.